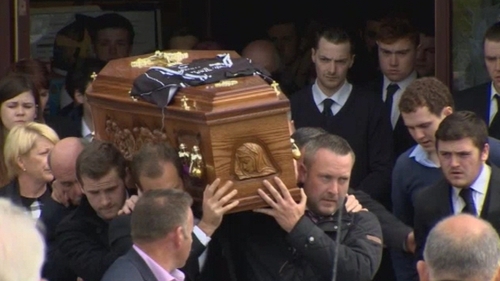 The funeral has taken place of a Co Tyrone schoolboy who took his own life after he was tricked into posting images on the internet. Ronan Hughes, from Coalisland, died last Friday. 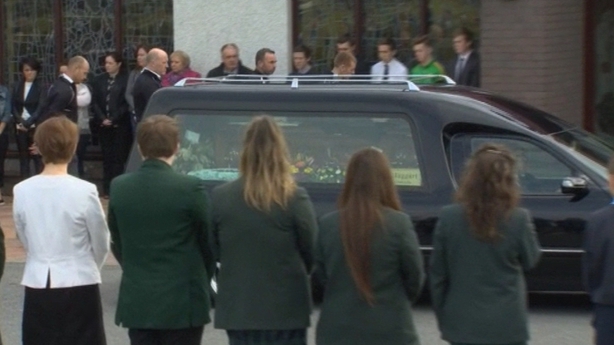 The 17-year-old's funeral took place at St Patrick's Church in Clonoe, outside Coalisland. He was a pupil at St Joseph's Grammar School in Donaghmore and the school said teachers will be available to speak to parents and pupils following the tragedy. The PSNI has appealed to anyone who has experienced anything of a similar nature or has received any inappropriate links to contact the police or a trusted adult. The local community has been described as both devastated and outraged following the death. Speaking on RTÉ's Morning Ireland, local SDLP Councillor Malachy Quinn said: "The PSNI are now taking a very active role in asking young people in the area to give any information they have on that case, maybe even if they're involved in something sinister themselves. "Because we have to realise it happened unfortunately to Ronan and his family this weekend but it could very easily happen to somebody else next weekend, to somebody else's son, somebody else's daughter. "It is vital we get the information out there to prevent something like this ever happening again."